This morning I was confronted with an email from the service desk because the Wi-Fi BYOD network authentication had been changed. All existing accounts were removed and BYOD users had to apply for a new user account. 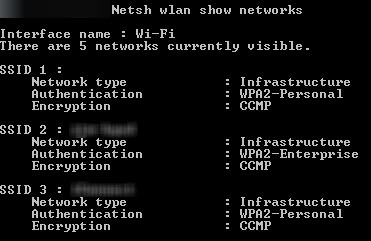 I created a new user account and tried connecting to the existing WiFi BYOD network. Windows 8 detected my old username/password were not valided and requested the new password. Unfortunattely not only my password, but also my username had been changed. 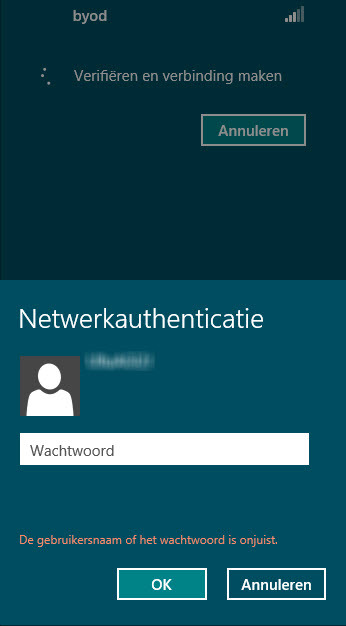 For some reason it’s not possible to delete the username of WiFI Profile from within the GUI in Windows 8 anymore. Luckily there are several other alternatives to delete or manage an existing WiFi profile.